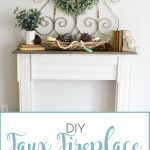 If you haven’t been living under a rock in the past few years, you’ve probably heard of “farmhouse style.” It’s one of the most popular design styles lately, especially since Joanna Gaines and her show, Fixer Upper, became a sensation. So you’ve probably heard of it, you’ve likely seen it, and you may even love it. Or you could be kinda like me in the beginning of it all and wonder, Well, I like it and I’m pretty sure that’s my style but what exactly does “farmhouse style” mean? The term “farmhouse style” generally encompasses a lot of different design styles. For instance, there’s rustic farmhouse, cottage farmhouse, modern farmhouse, vintage farmhouse, boho farmhouse, french farmhouse, industrial farmhouse and ranch farmhouse, to name a few. All of these different descriptions can be really confusing! Rustic farmhouse includes elements like rustic, unstained wood, and a lot of cream/beige/brown colors. The furniture is usually pretty no-frills, straight lines and natural wood tones. Much of the decor is simple and minimalistic. Cottage farmhouse is a little eclectic with some frills, florals and lace, grays or cream colors and some pops of bright colors, usually in furniture. The furniture tends to lean toward the feminine side and is usually very plush. Decor is also pretty feminine and you may see a lot of garden themed items. Modern farmhouse features a lot of bright white with contrast of darker colors, like black or navy. 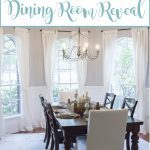 It also features dark baskets, dark stained woods, wreaths, shiplap and maybe touches of more modern fixtures or decor elements. Vintage farmhouse displays a lot of vintage or antique farm-centric furniture and decor. It also includes more warm-toned, natural woods, and perhaps some farm life art. French farmhouse (or French country) involves a lot of cool tones (grays, whites, sometimes pastels) and soft natural fabrics (linens, cotton). The furniture is a little more feminine with curved or turned legs. Often the furniture is painted and/or distressed. You may also see old distressed frames, old books, and fresh flowers. Ranch farmhouse features a lot of ranch life decor, like corrugated tin or old metal features. There’ll probably be something to do with horses or a stuffed animal or animal head on the wall. Windmills, saddles, barn doors and warm, earth-toned colors typically dominate this space. 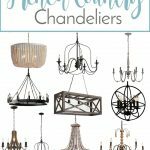 You can see from these descriptions that one of the things each specific style has in common is a love of light or neutral colors. Some styles gravitate toward warmer tones (beige, yellow) while some lean toward the cool tones (gray, blue). But most of the colors are light and airy and (mostly) neutral. When I started getting more into design, I didn’t really know what to call my style. I knew what I liked when I saw it, but putting a name to it was a whole other matter. 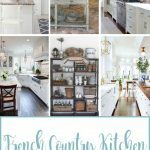 Eventually, as I started to learn the nuances in the many different styles I was seeing, I started identifying my style as basically a cross between modern farmhouse and French country farmhouse, with a slight lean toward French country. Figuring out exactly what my preferred style was really helped me to focus on putting together spaces that were cohesive and intentional, which is key in a well designed space. One of the first choices you have to make when designing a room is your paint color. Choosing a paint color can be a tough job. There are literally millions of colors out there, so finding the right one for a specific style can be overwhelming. Sometimes you just need a little help finding those diamond-in-the-rough colors; that special color that will make your space feel perfectly put together. 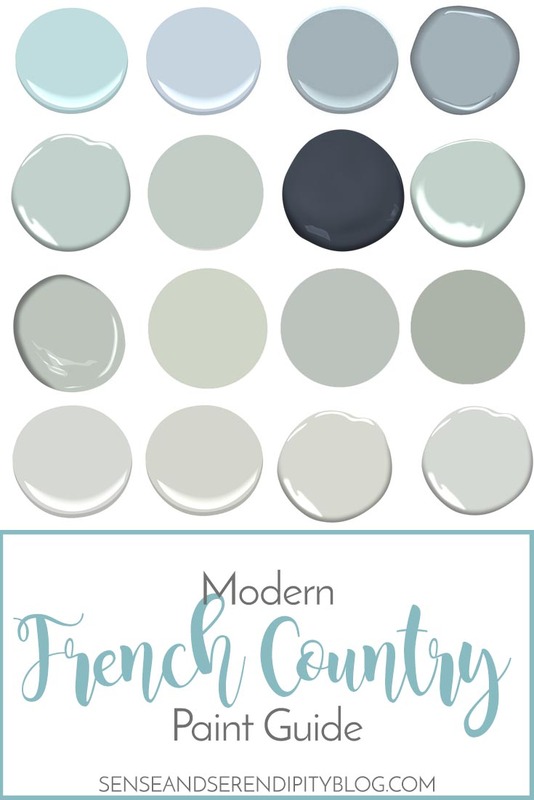 Well, you’re in luck, because I’ve put together a guide for all of my favorite paint colors that have become the basis for my French country farmhouse style. In my home, my go-to colors include Repose Gray, Silver Sage, Simply White and Gray Owl. All of these colors are extremely versatile and look lovely in just about any light. I love to accent (doors, walls or furniture) with darker colors like Hale Navy and Wrought Iron. And my daughter’s room will be painted in Joanna Gaines’ Antique Rose. I typically don’t use many warm tones like beige or yellow in my decor. I jokingly call my style “50 shades of gray” because gray is definitely the dominant color on my walls. But I do throw in a good deal of blues and some greens (right now my master bedroom is painted Livable Green and I’m kinda digging it). I hope this paint guide can help you get started with finding your perfect shades for your farmhouse space. I know a lot of people struggle with picking a paint color because they want to pick the “right” one. Listen, paint is SUPER EASY to change. If you love a color or two, get a few samples, throw them up on the wall (the colors will change in the light so you always have to test them out first) and see which one strikes your fancy. Once you’ve picked your fave, paint your room and enjoy the space! If you decide you want something different a few months down the road, paint the space again! Painting is truly the easiest and cheapest way to dramatically change the look and feel of a space, so don’t be afraid to try something different or new. Tape. There are many kinds of painter’s tape but the two big brands are ScotchBlue and FrogTape. Personally, I love FrogTape. I think it produces cleaner lines and allows less seepage. Dropcloth. Make sure it’s thick or has a plastic backing. This one is one of my favorite brands. Paint Tray. Get yourself a sturdy paint tray and a pack of plastic inserts. This makes clean-up a breeze! Paint Rollers. There are soooo many brands of rollers out there. My favorites are Wooster followed by Purdy. Pay attention to the nap length; there are different naps for different types of walls (textured vs. smooth). Ladders. I usually use two ladders when I’m painting. One is a large, adjustable height ladder like this one. I use this for the higher parts of the wall, ceilings and upper trim work. Then I use a simple foldable step ladder like this one. I’ll use this for everything else that may be just out of my reach. Paintbrush. My absolute favorite brush for cutting in is this 2-inch angled Wooster brush. It gives me nice clean lines every time and it’s very comfortable to handle. Paint Pour Attachment. This little contraption makes it so much easier to pour paint and not make a mess. And it’s easy to clean! Roller and Brush Covers. I can’t live without these roller and brush covers. When I have to take a break in my painting but I still have work to do, I just pop these babies on and cover my paint pail. I have had my rollers and brushes stay nice and wet in these covers for over a week! Handheld Paint Pail. I love this paint pail! The first thing I do when I begin to paint is pour this pail halfway full of paint. Then I use my Wooster brush and start doing all my cutting in. This pail makes it so easy to carry my paint around without having to lug around a giant metal paint can or going up and down the ladder a billion times to refill my paint brush. Don’t forget to buy the plastic inserts for easy clean-up! I love that one too! Can you do color matching in the U.K.? I often take a paint chip of my chosen color and just get it color matched with cheaper paint. Works like a charm! 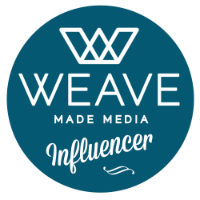 Hi Cheyenne, love your blog and love the colors you have chosen. I was hoping you could suggest some colors for me. We have bough a new house and the living area is to the back and it is painted a beige with a slight pink undertone. There is a dining room in the front of the house and also an office. My style is french country but my husband has other ideas, so I am trying to blend our two styles together. I’m sure you deal with this all the time. We have painted his office behr’s blueprint. It is a really rich beautiful. Never had that kind of color so it’s throwing me off. Wondering now what to paint the dining room directly across and the kitchen that you can also see from those rooms. Though about grays, and grey blues and even thought about yellow in the dining room. Please help, I have been looking at color for weeks now. Our rug is also beige or tan. This post was really helpful! 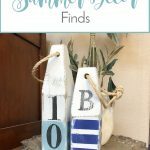 I had no idea there were so many nuances of farmhouse style! Mine is a combo of cottage, modern, and French. We’re a family of yellow and gray lovers. Awww Woodlawn Blue – the gorgeous color of my daughter’s bedroom! Everything came together so easily after choosing this color! I love so many of these swatches! I’ve only ever really used the Annie Sloan range in the UK.. may have to look into these as alternatives if I can find UK suppliers! 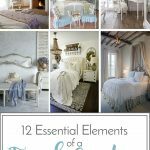 Your 12 essentials will help me redecorate the room I moved into after my mom passed earlier this year.. Painting, hanging curtains (thanks for the drop cloth tip) figuring where the new art work will hang is going to keep me busy and my mind off my grief. Can you please tell me what brand of paint these colors belong to? I can’t wait to get started! Each brand is listed below the colors name. I️ usually just get a color match at Lowe’s though! You may have the answer to my prayers. I have to choose paint colours for the main floor this week. The painter seemed unimpressed that I wanted to have white/Ivory coloured walls from the front hall which opens to the dining room, the great room and the kitchen as well as a stairway to the basement. My trim colour is Cloud White I think as are my kitchen cabinets. I may even go BM Cloud White or White Dove on the walls but I’m worried that will be too much white/Ivory and there won’t be any differentiation from the trim. I don’t THINK this matters, but I wonder what you think. I’m trying for a Modern Country French look incorporating more traditional furniture like a mahogany dining suite (i will be changing the chairs from shield back to Cream or caramel leather parsons style chairs with nail heads), a mahogany/cherry built in wall unit including a black fireplace, a mahogany/cherry coloured armoire and a chest with three drawers and straight legs. Two bedrooms, a den and a bathroom run down the whole left side of the house. The den has 2 glass pocket doors that are always open. I have matching pastel coloured Persian carpets with an Ivory background in the dining room and the great room, a different one in the den which has a charcoal background so I may go for Grey Owl there. I won’t go on and on any more. The most important question I have to ask is about a light Ivory from the front door throughout all but the bedrooms, den and one bathroom and that is either the same colour as the trim or very close to it. Would you do that yourself? Thank you. I love the information I read on your site tonight and will use colours from your colour chart for Modern Country French. Hi Heather! Personally, I️ prefer color on the walls even if it’s a very light gray. Ben Moore’s Moonshine is a nice light gray. I️ have seen homes with white walls throughout that are beautiful but it just isn’t my taste. The great thing about paint is that it’s easy to change if you decide you can’t live with a certain color! Good luck! Hi Michele! I would try Worldly Gray by Sherwin Williams. It’s a beautiful neutral gray that still has a bit of warmth. And it looks fantastic with Dove White trim. You could also try Repose Gray but it’s slightly darker. Good luck! What a great breakdown of farmhouse styles. I’m a boho person, but my hubby prefers something a bit more understated. We just moved and I’m trying to incorporate elements we each like into a more seamless style. Farmhouse style meets the need. The breakdown is helping me make choices and the paint selections are gorgeous. Thanks! I actually work for one of Benjamin Moore’s franchise stores and I can honestly say that all the Benjamin Moore colors above are our most popular colors and they are gorgeous. The only two that I would add is Metropolitan and Calm, which are our 2019 color picks. They both fall into the line with these colors. Awesome selection!